Today I learned many things by visiting Palle Srujana. Thank you for talking about grass root innovation. I have got the impression from that all innovation have their ‘story’. Making remote controller for mother sick in bed. Making agricultural machine to make farmer’s work easy. Making coffee machine because of angry that people can’t drink at village. Through these stories, I felt that the grass root innovation is for rural people, by rural people wihout any outside help. Recently many people say that rural area in India is big market. But I understood that products which made by grassroots innovation are not for business but for solve community problem. So it is difficult that we see villages as a market simply. 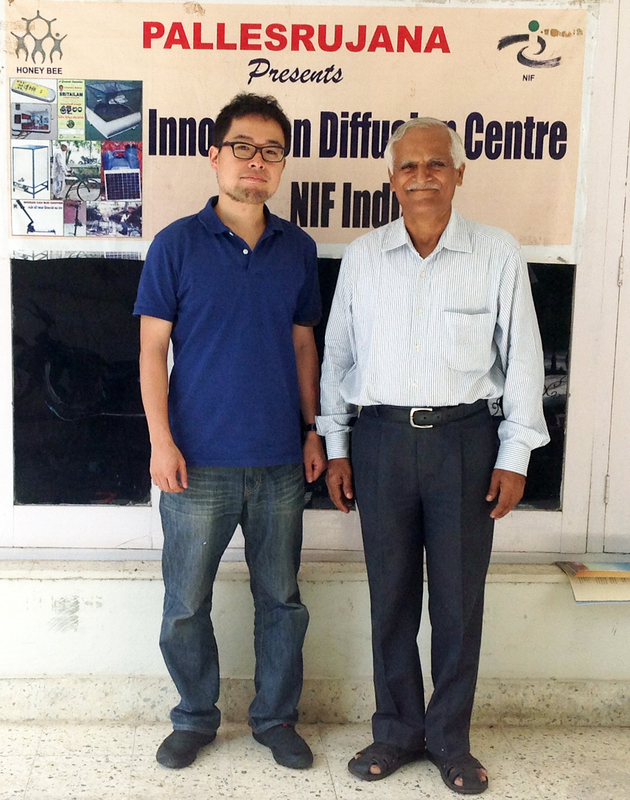 After visiting you, I met an innovator Mr.Mallesh. He showed me pumping machine and taught me that his career. I hope grassroots innovation get to become a ‘community business’ or ‘village to village business’. Certainly Japan is a developed country, but we have problems with the regional disparities and aging population. We also have to think about the grassroots innovation, I think. 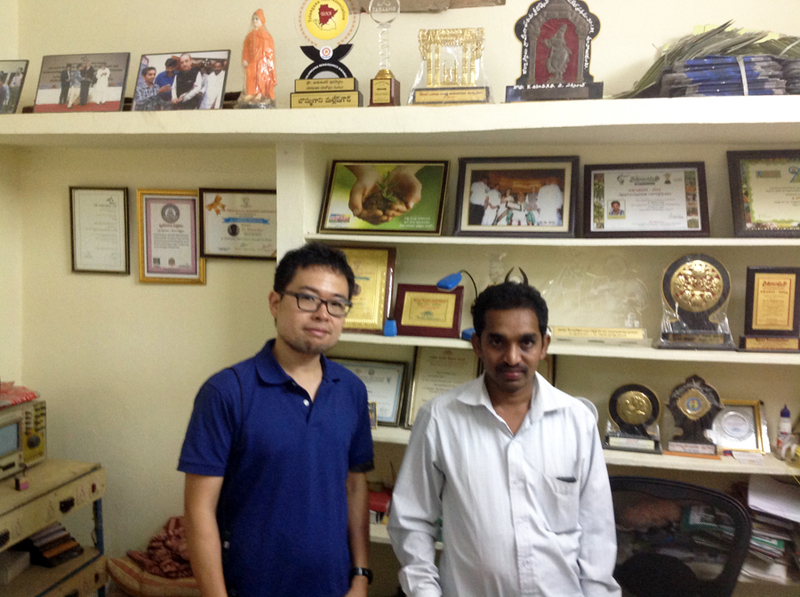 It was our pleasure to have your presence at Palle Srujana and thereafter with a grassroots innovator. We are delighted to see your impressions. With such vast cultural, social and economic disparity between our nations, your understanding of grassroots innovations and our rural settings in such short time is impressive. W are sure your "Shodh"(search) goes on when yu return to your country. Please let us if you need any information from us. Wishing you a happy and meaningful stay in Hyderabad/India and a safe journey back home.